All-New Honda Jazz 2014 on display at the Auto Expo 2014 in India, the All-New Honda Jazz 2014 has previously been shown at the Tokyo Motor Show 2013. Honda Jazz is very popular in Asia; one of the promising countries for the sale of Honda Jazz is India. Honda prepared two variants of the All-New 2014 Honda Jazz that is diesel fuel engine and petrol engine. 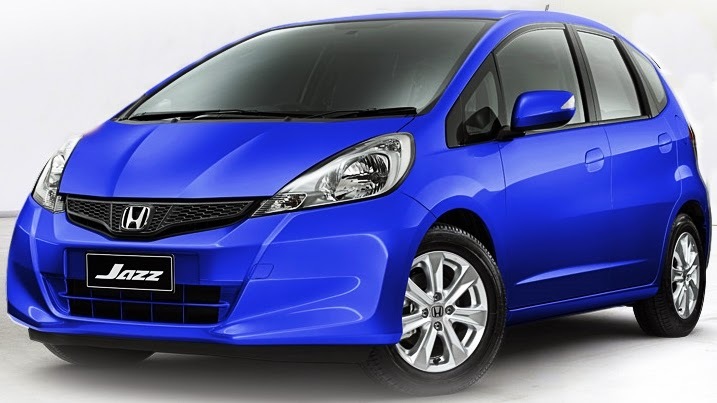 All-New 2014 Honda Jazz 1.2-liter engine uses i-VTEC four-cylinder that can generate power of 88 hp with a torque of 109 Nm. All-New Honda Jazz 2014 using the 1.5-liter i-DTEC four-cylinder that can generate power of 98 hp with a torque of 200 Nm. Advanced security features All-New Honda Jazz 2014 in both provide standard safety features such as ABS with EBD, brake assist, G-CON technology with the ECU so as to provide a secure and safe drive. Honda Jazz in in Europe called the Honda Fit, Even the same type but different due to adjustment of the location of the distribution, so there are some components Honda Fit with the Honda Jazz is different. All-New Honda Jazz 2014 will be launched in July 2014. "Article : All-New Honda Jazz 2014 diesel fuel and petrol engine variants shown in India"